I guess I can’t really call her a kid any more now that she’s ready to have kids of her own. Yes, that pink you see up there on that second photo is our Pasqualina filling up with milk. We expect kids in mid-March or so, but we’re not quite sure of the date of spermination (the buck was in the pen for a month). What a year it’s been…can’t wait to see what this next one brings! .-= Annika´s last blog ..eccolo =-. Congratulations! You will soon be an official ‘Nonna”. This old guy guessed it. Hee hee, well Stella already had pups, and we did have hens with babies once…so…I’m kind of an old Nonna! oh. so. nice. She is really a sweet girl. I can’t wait to read about the big event! Thanks Diana; I’m so nervous! .-= Diana Strinati Baur´s last blog ..DIY Large Mosaic Mirror =-. Well congratulations to Pasqaulina – here’s hoping for a speedy and safe delivery. She has turned into quite the young lady! But you are too young to be a nonna! .-= Willym´s last blog ..Beasts of Battle =-. May I ask what will become of the kidlets? I understand it is necessary to freshen the goat ladies, but hereabouts (sheep) too many boy babes makes trouble. Unfortunately the hard truth of raising goats for milk means babies, and kid is a popular dish around here; if our girls have good girls, we may keep another one or two, but the rest will be sold. We definitely won’t be eating any of them; that was a ground rule I laid down when we got Pasqualina. 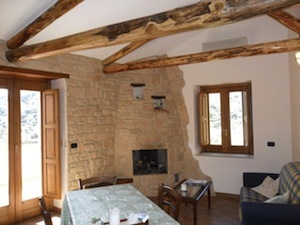 .-= Judith in Umbria´s last blog ..Lemon Curd: low carb style =-. Haha, Pasqualina is happy to hear that! .-= travelingsuep´s last blog ..ONLY 7 DAYS LEFT =-. 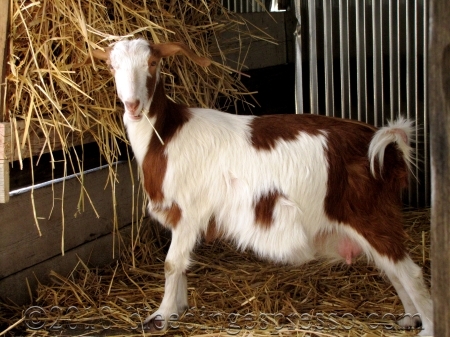 Pasqualina has to be about the prettiest darned goat I’ve ever seen! Okay -I don’t think I’ve ever seen a goat up close and personal like -yeah, for a backwoods girl, I’ve led a somewhat sheltered life at times -but between you and your Pasqualina and another friend who is now raising goats and has posted some great pics of the goats on her farm, I am developing a much deeper appreciation for the beauty these fine animals have! .-= Jeni Hill Ertmer´s last blog ..Beautiful Day! =-. Michelle, have you noticed the change on her face? On #3 I think she is smiling rather carefree. On #4 doesn’t she look a little contemplative? Happy Birthday, lovely girl! .-= Irene´s last blog ..Greece owes what? =-. That is an excellent point, Cherrye! I like it. I’m sticking to it! 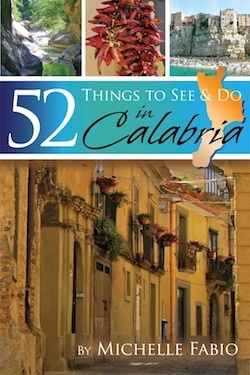 .-= Cherrye at My Bella Vita´s last blog ..Travel Tip Tuesday: How Not to Look Like a Tourist in Southern Italy … for Men =-. Pasqualina is too cute for words. .-= nyc/caribbean ragazza´s last blog ..Favorite Things: Mondi Pasticceria – (danger!) =-. .-= bella´s last blog ..play =-. .-= LindyLouMac´s last blog ..The Weekend =-. Congratulations to you! She is a cute goat if goats can be cute! .-= Michelle @ Italian Mama Chef´s last blog ..It’s in the cheese =-. Buon Anniversario! She sure is adorable! .-= Lisa´s last blog ..rub a dub dub =-. OMG, Happy Anniversary, she is so adorable, I can’t imagine her being a mommy! I can’t wait to see her offspring! Kids having kids, Lucy! It’s crazy! I cannot wait to see the pics of her kids – so get your camera ready!!!! Haha, indeed! I hope they allow me to video!!!! 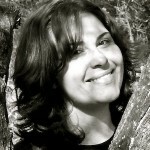 .-= anna l’americana´s last blog ..World Nutella Day 2010…. =-. woohoo I can’t wait to see pics of her kids! All their kids (hopefully)! They all *look* pretty preggers at least, but they say it’s really hard to tell with goats. Fingers crossed! How could it be a year? They grow up so fast, no? Congratulations to both Pasqualina & to the Nonna-to-be. (I’m so glad there will be no eating of kids, ahem, at Bleeding Espresso World. Oh I just couldn’t do it, Susan! Look at those faces! .-= Susan´s last blog ..Week’s End – Ode to Rome =-. Congratulations Pasqualina, and flgli maschi. Actually we’d prefer the girls! Happy Anniversary Pasqualina! You couldn’t have picked a better home 🙂 I love these pictures of her, too cute! Good luck with all the upcoming little kids I can’t wait to see pictures of them too. .-= Rebecca´s last blog ..i expected a little more from my friends =-. Oh My how she’s grown! I “heart” Pasqualina. She makes me want to have a kid of my own. Hope she delivers safely. Send photos! .-= Ciaochowlinda´s last blog ..Strudeling through the Val Gardena =-. How exciting for you 🙂 cannot wait to see them .. ! .-= anne´s last blog ..Muswell Hill – Part 2 =-. Oh, you’ve made me want to be a goat farmer now. Congrats on your impending arrival! How adorable! They grow up so fast – did you know it takes an elephant calf like 20 years to reach maturity? eek! I am very excited to read about all your goating adventures. I didn’t know that, but I just heard yesterday that the gestation time for elephants is 22 months! Gaaaaah! Wow, she is gorgeous Michelle! I’ve always wanted some goats and today my niece has two of them Eddi and Roseline! They are the best! Good luck with the birth mumma! .-= Deb R´s last blog ..I have the Travel Bug once again! =-. .-= My Melange´s last blog ..Five Chateaux in France =-. Not yet, Meredith; this is the first time they’re pregnant so we haven’t had milk yet, but soon, hopefully! .-= meredith´s last blog ..Window shopping-Rue d’Antibes-Cannes =-. You must be excited about the kiddies. Be sure to keep us posted. That makes you a nonna, right? Congratulations! 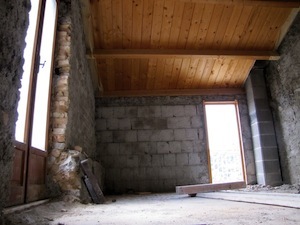 .-= Eleonora´s last blog ..Brasato al Barolo =-. congrats! 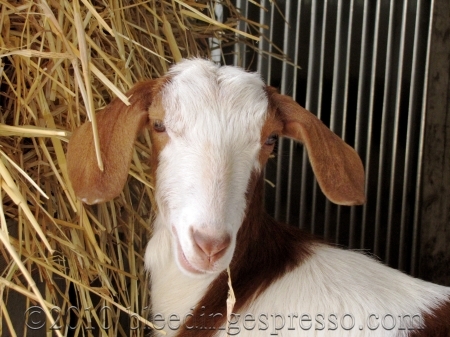 she’s a good looking goat:) and thanks again for your help with the Italian book promo Michelle! Thanks Bren! I know, it’s amazing to think she’s only a little over a year old…. How fun to have baby goats! Guess that make them grand”kids”! This is absolutely amazing! What a great way — and besides, you don’t have to cut the lawn…! p.s. 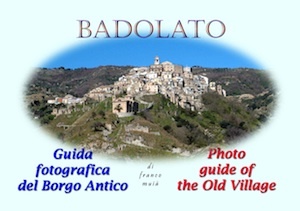 I’ve added you to my ITALIA ON THE WEB LISTING — go figure – yours was one of the first I ever read & I could swear that you were there!!!!! Boh. FWIW I think I used to be on there on too, but anyhoo, you’re up on mine; love reading your perspective on life here! She has grown so much. How exciting that she is expecting. I had a difficult time reading some of the Slow Travel blogs last Sunday when the meal everyone was cooking included goat. All I could think of was your babies. I know; it’s getting harder and harder for me to read kid recipes too…. .-= girasoli´s last blog .."daily"~ PhotoHunt =-. She’s different and the same still… but cute as EVER!!!! Can’t wait to see her baby! I don’t believe I’ve ever said this about a goat, having not known many (or any, really), but that is cutest darn goat I’ve ever seen! I can’t wait to see pics of the little one’s she’s about to have. .-= :D’anne´s last blog ..Red Pepper & Turkey Sausage Rigatoni =-. Hi Michelle! Long time, no bloggy. I love your little Pasqualina! So adorable. 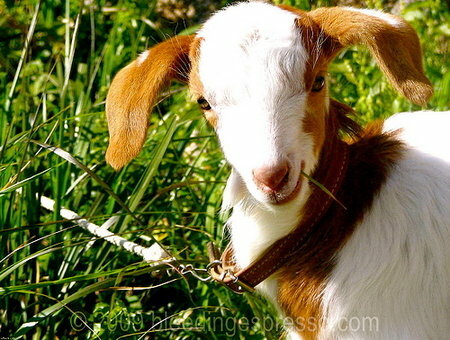 Speaking of goats, I am so in love with little minature goats (I have no idea what they’re called). I would love one for my back yard, except for the neighbors would probably run me out of the subdivision. And it might possibly start eating my house. .-= Lulu´s last blog ..Lead me not into temptation, but deliver me from evil =-. 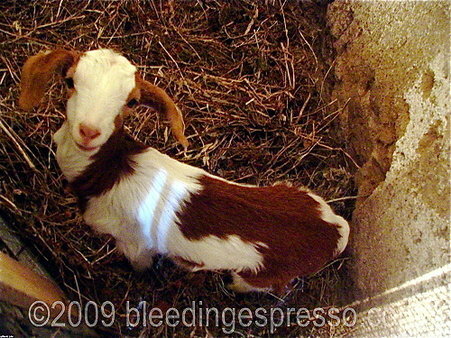 Pasqualina’s a little thing already; the idea of little baby goats makes me want to squee. There’s a guy here (maybe more than one) whose business is renting goats to clear out properties overgrown with bushes and weeds. A couple of years ago, the city had to clear out the hillside across the street from my house so they could expand the park, and every day I eagerly awaited the arrival of Goat Renter Guy and his caprine staff. But the city used tractors instead. Boo. Silly city. Actually sheep are better for grass-mowing type deals, but goats are great for hillsides, trees, bushes, etc. Hopefully you’ll get some goats your way though…they’re such sweet, fun creatures! she looks like a rabbit with those big ears in the younger version… too cute. .-= patty´s last blog ..back to reality =-.